Riding on unfathomable volumes of industrial expertise, we are providing a broad array of Stone Carved Pedestal. 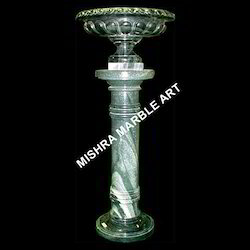 Stone pedestals are purely for the decorative purpose. They are used for displaying statues and other artifacts. 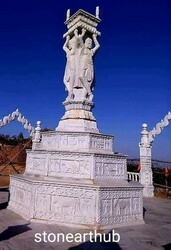 Sandstone and marble pedestals are generally carved and decorated. Greek pedestals add prominence to the sculptures. This Concrete Pedestal can be used to display any piece of sculpture.